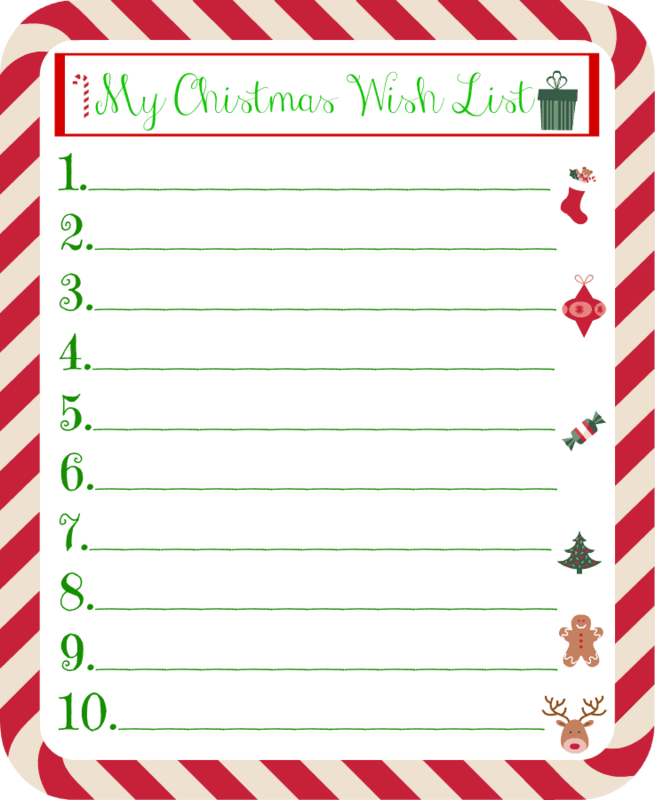 It is that time of year again the time of the year when we check off our holiday list. 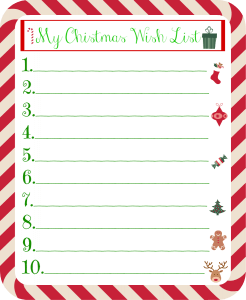 It is the time of the year when we decide to take this toy out of the box. 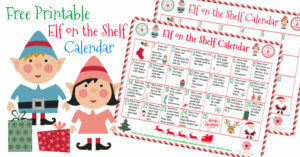 The Elf on the Shelf toy is supposed to go to Santa and tell Santa if your child has been naughty or nice. 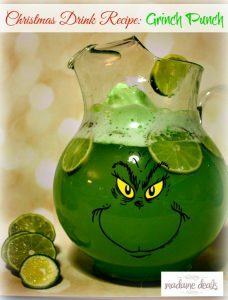 He or she comes back from the North Pole and creates some sort of mischief, so I gathered some fun elf on the shelf ideas for you to try. 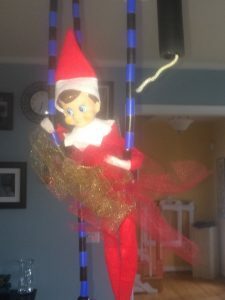 The Elf on the Shelf comes with arms and legs that aren’t posable. 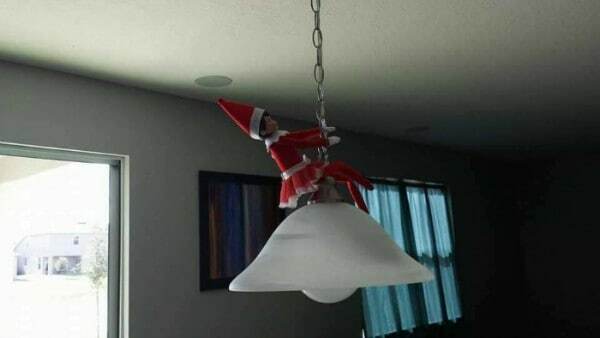 I decided to figure out a cheap and easy way to make my Elf on the Shelf Posable. 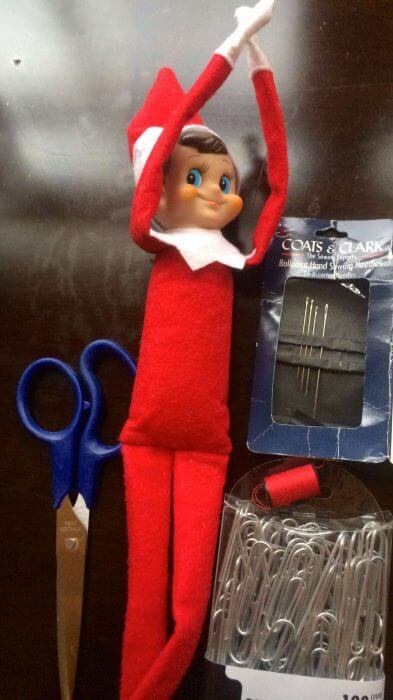 Step 2: Pull out the stitches in the glove of the elf. 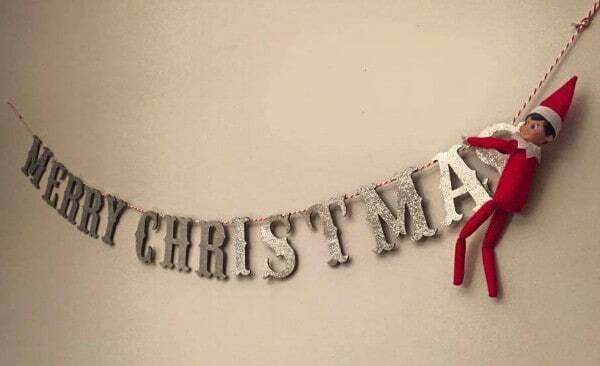 Step: 3 Measure the arm with the paper clip or floral wire. Then clip it to fit into the arm hole. 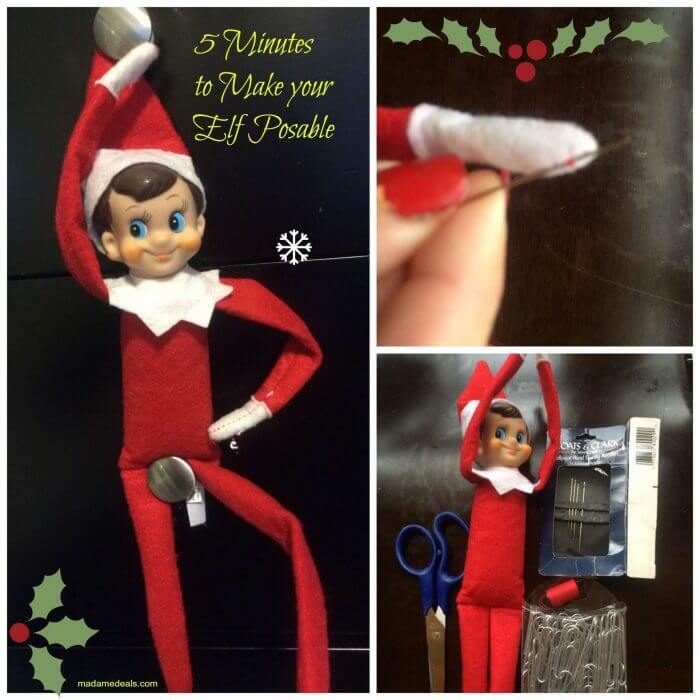 Step: 4 Push the wire into the Elf’s arm. Step 5: Stitch the glove up using the red thread. I double threaded the needle. The I put the thread through the glove and through the loop at the end of the thread. I stitched it three times and then I cut off the string. 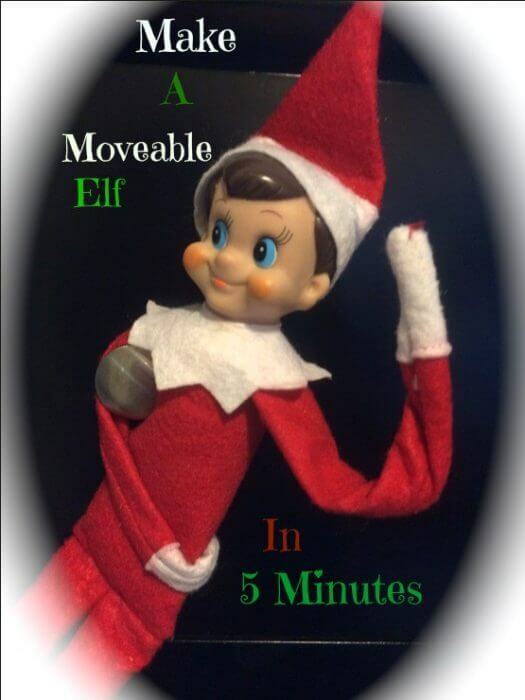 Finally, you have an Elf whose arms move. 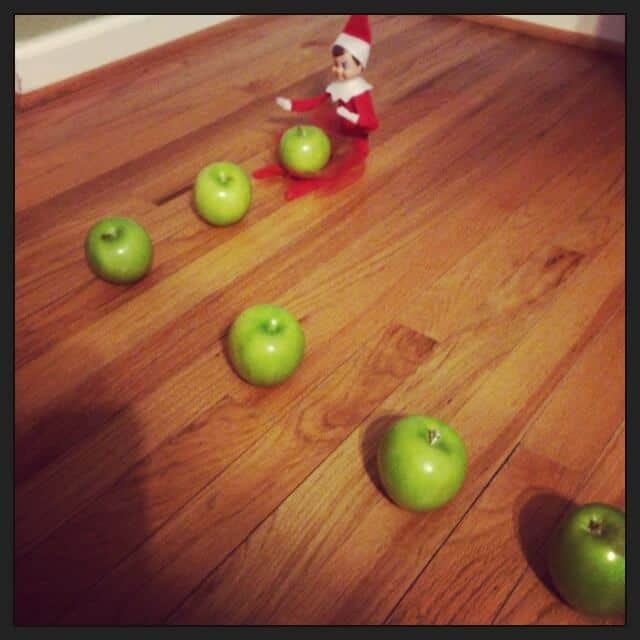 You can very easily do the elf’s legs using the same methods. I was able to do the arms in five minutes total and I am far from a seamstress. 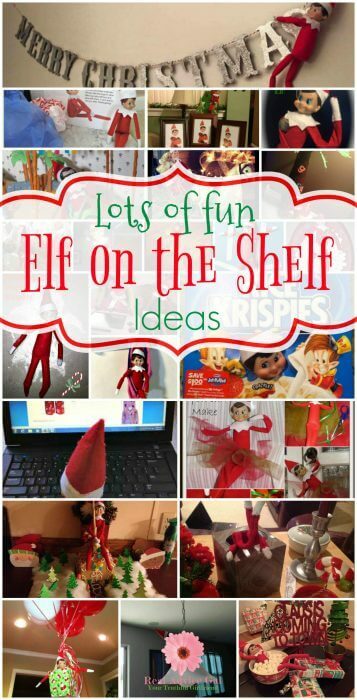 How about a note idea for your elf on the shelf. 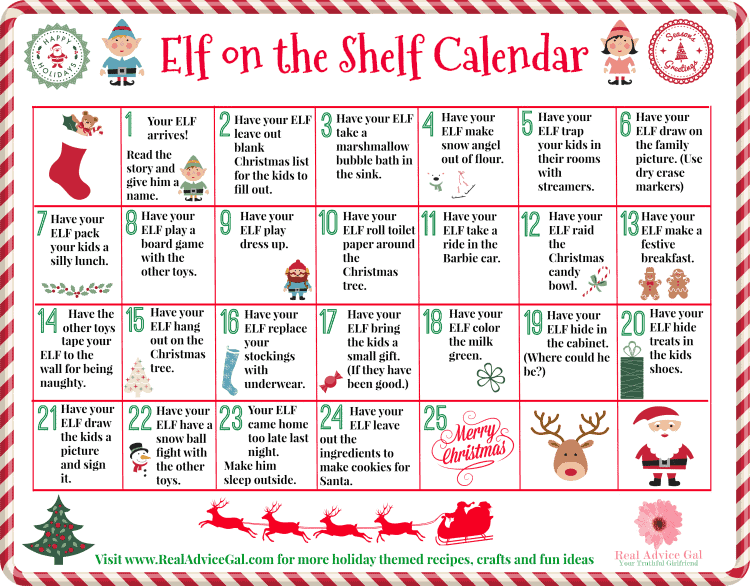 Have Holiday Game Time with the Elf on the Shelf Hide and Seek Game. 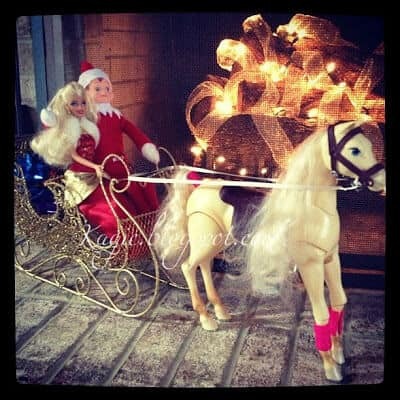 See the Story Behind the Elf on a Shelf in his own DVD! 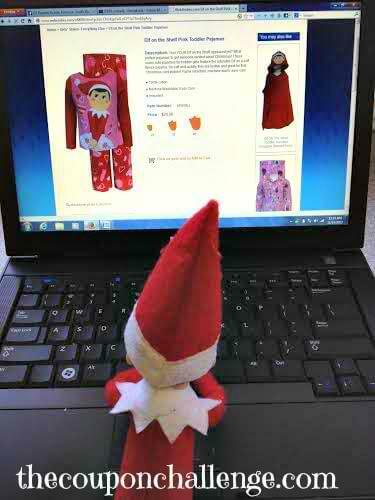 Elf Online Shopping. 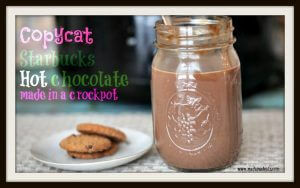 Thanks The Coupon Challenge! 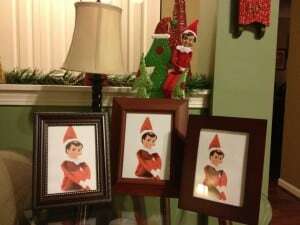 Elf with photos. 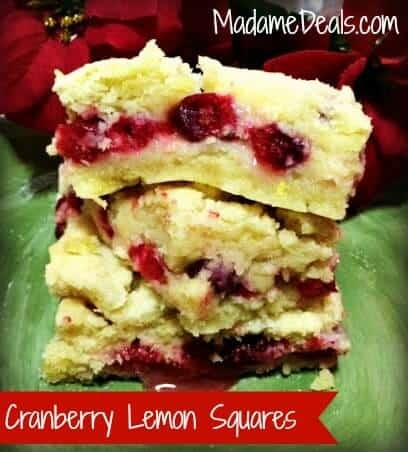 Thanks This Mama Loves! 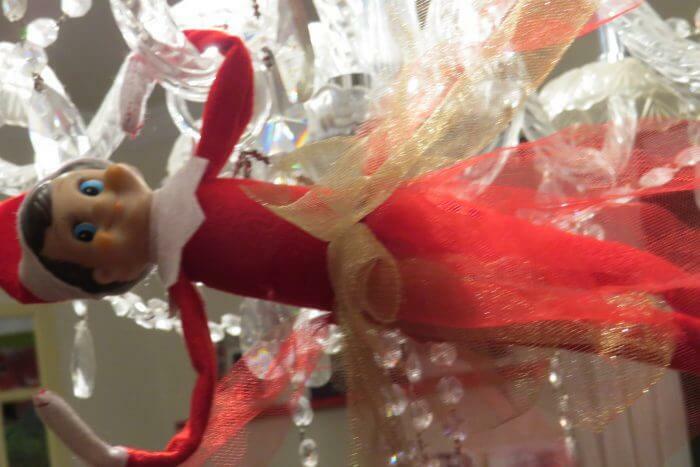 Many thanks to our readers for sharing their elf photos!